Led by improvements in employment-related indicators, the Chicago Fed National Activity Index increased to –0.22 in September from –0.59 in August. 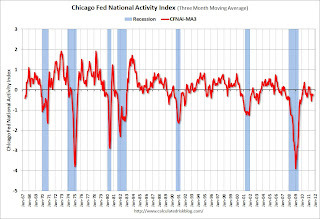 The index’s three-month moving average, CFNAI-MA3, edged up to –0.21 in September from –0.28 in August, but remained negative for the sixth consecutive month. 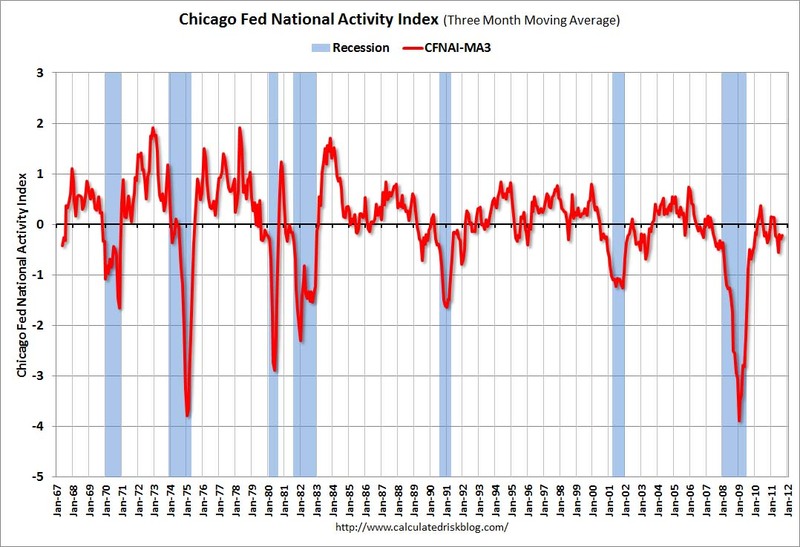 September’s CFNAI-MA3 suggests that growth in national economic activity was below its historical trend. Likewise, the economic slack reflected in this level of the CFNAI-MA3 suggests subdued inflationary pressure from economic activity over the coming year. A zero value for the index indicates that the national economy is expanding at its historical trend rate of growth; negative values indicate below-average growth; and positive values indicate above-average growth. This index suggests the economy was still growing in September, but below trend.